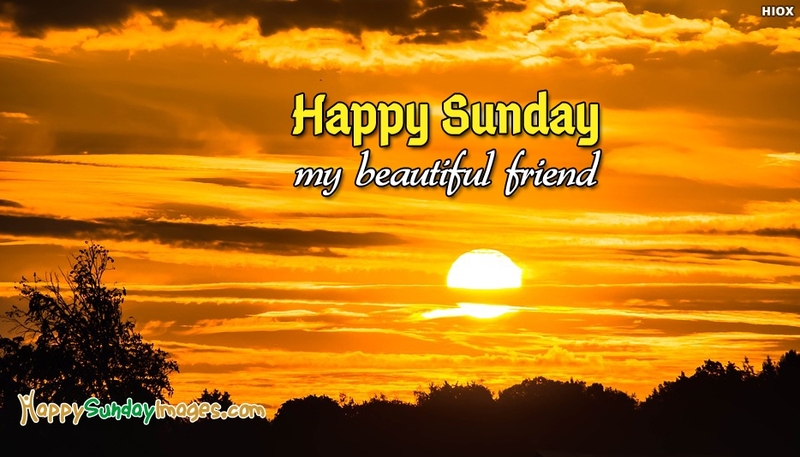 Wish your dear friend a happy sunday with this beautiful golden shaded happy sunday picture. The picture portrays a lovely Sunday Sunrise and the message 'Happy Sunday My Beautiful Friend". This golden happy sunday image could make your dear ones feel relaxed, feel loved and feel cared.